Okay, guys, I finally have something awesome to show you. Are you ready? Let's pretend I took really awesome pictures and wasn't totally rushing 10 minutes before I had to get ready to leave, okay?? BAM. Star in a star in a star, self-drafted pattern. Then I added the fun border to make it a little bigger. It finished at about 85x85. See the glare?? And I was standing pretty close! 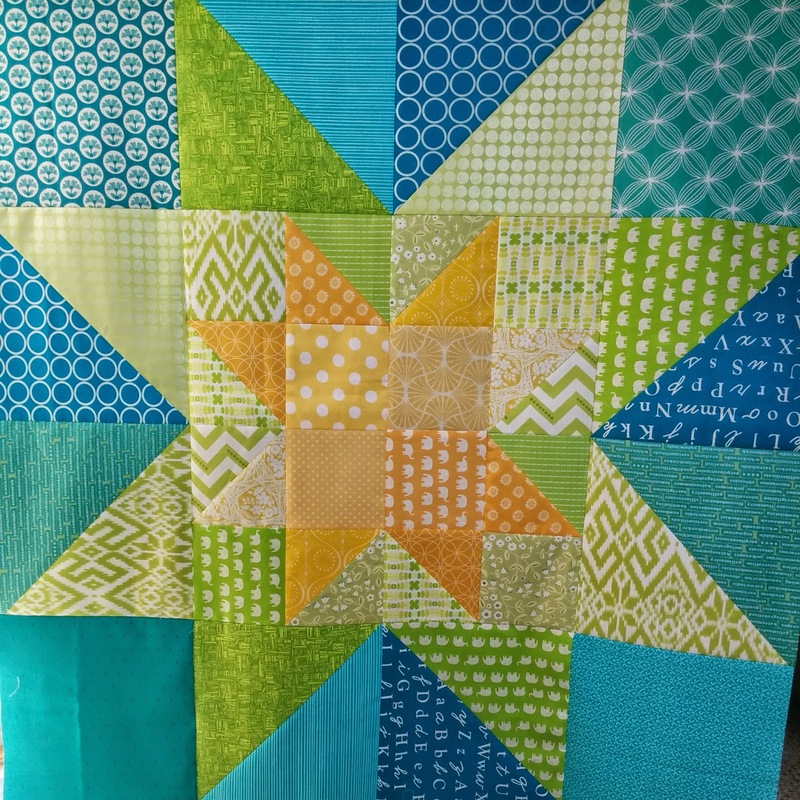 I don't know if you can see it, but I quilted it with an all-over FMQ stipple. 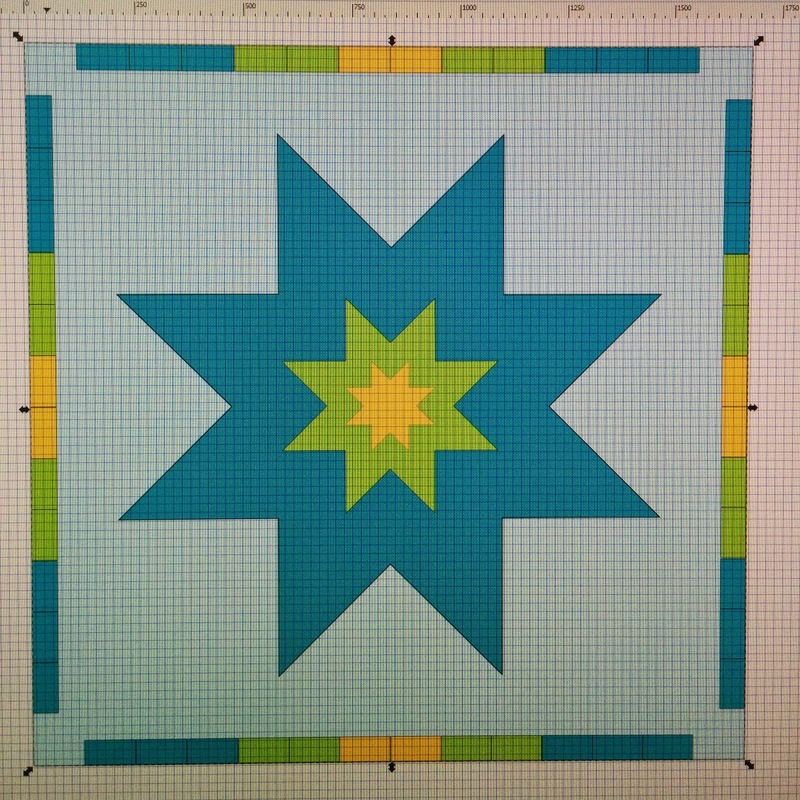 I need to start getting braver with my FMQ, man. I'm getting a little tired of the stipple! This quilt was for my future sister-in-law's wedding, so it was very special! She also happens to be one of my best friends who I have know almost 10 years. I introduced her to her now husband, who I had known for several years, just about two and a half years ago. They're such a great couple! Their wedding was lovely and fun and everything a wedding is supposed to be :) And the quilt was well received! I also made the bridesmaid dresses- I will post pictures of those AND the awesome bathing suit I made for our little vacation following the wedding next week! 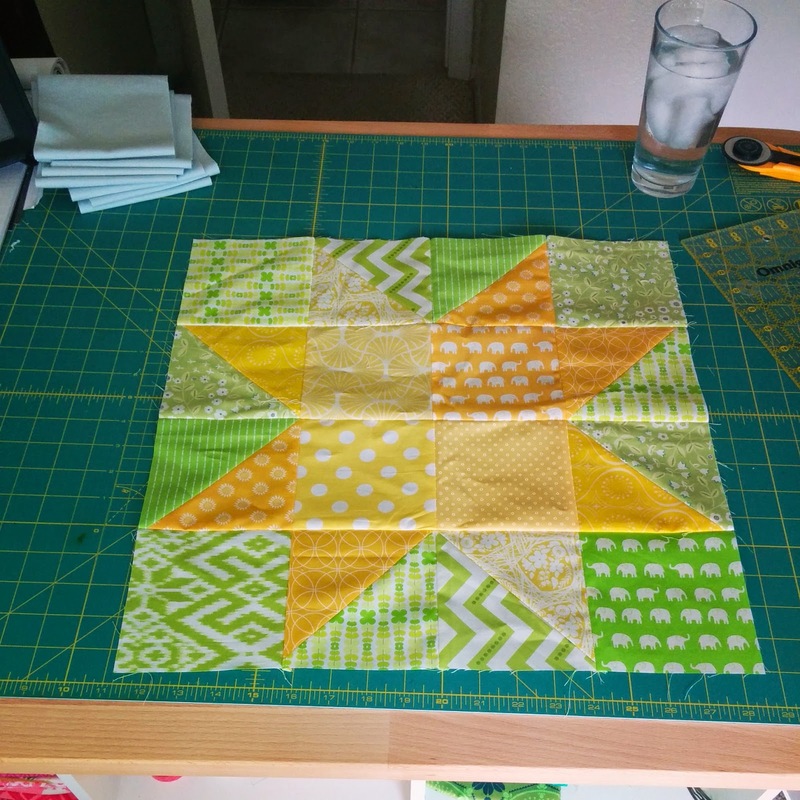 August was a super busy sewing month, even though I didn't blog almost at all. But now I have plenty of fodder to keep this space busy for a couple of weeks! Stay tuned! I love the crooked center and the colors. It's beautiful! What are the final dimensions? Great design, and great colors, too! Congratulations on a gorgeous finish, Anna! I love this design and you chose the perfect fabrics and colours to pull it all together, What a lucky bride... to have such a talented and generous friend! Hope you enjoy your vacation. Looking forward to seeing your next posts with pics! How fun! Love the colors, too! The colors are just fabulous. Great job.